PARQUES REUNIDOS SERVICIOS CENTRALES, S.A. (hereinafter known as “PARQUES REUNIDOS”), with registered address at Madrid, Paseo de la Castellana 216, planta 16 and C.I.F. A-84.885.441. Inscribed in the Mercantile Registry of Madrid at Tomo 23.506, Folio 58, Hoja M – 421.702, is the titular owner of the website www.selwomarina.es, (hereinafter known as the “website”) designed to provide information about the products and offers from both “PARQUES REUNIDOS” and their affiliated bodies (hereinafter known as “GRUPO PARQUES REUNIDOS”), and to provide various sales services for entrance tickets, season tickets and/or other types of products via the website, and, when applicable, to provide users with various competitions, games, questionnaires, etc. For the purposes of the above, the contact and company details for Leisure Parks S.A., company which operates via the website, and is titular manager of Parque Selwo Marina (hereinafter known as the “Park”) and, as such, responsible for the sale of all products and/or services related to the Park, are as follows: Leisure Parks S.A., with address at Paseo de la Castellana 216, Planta 16. 28046 Madrid, and company number A79496394. This document is available in the on-line sales section of the PARQUES REUNIDOS website and may be printed and stored by the user. Online Dispute Resolution: The European Comission provides with an Online Dispute Resolution system for consumers’ complaints regarding e-commerce that you will find available in http://ec.europa.eu/consumers/odr/. These General Contract Conditions regulate the general conditions of service offered by GRUPO PARQUES REUNIDOS via their website www.selwomarina.es. Services offered by GRUPO PARQUES REUNIDOS, which form the contract of agreement with users, online sales of certain types of entrance tickets and season tickets for the amusement parks run by GRUPO PARQUES REUNIDOS, along with any other products offered on the website. In entering into any transaction involving the various sales services offered on the website, the user must, at all times, follow the instructions set out on the purchase screen (COMPRA/BUY), filling out the information required on the website"s online forms, and upon the understanding that the General Conditions of Sale, as set out on the website, have first been read and understood, such that the user declares that they understand and accept the necessary procedures to access the products and services offered on the COMPRA/BUY screen. 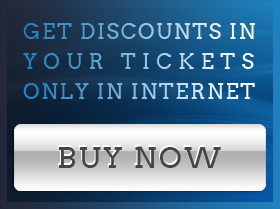 The use of any of the Website services supposes the user"s unreserved acceptance of all and each of the General Conditions for Use of the Website, also the General Contract Conditions and, if applicable, the Specific Contract Conditions which, having been made available to the user, prior to completing any online purchase, will govern the purchase of entrance tickets or season tickets and the purchase of any other products or services offered on the Website. Entrance tickets that are bought for a non-fixed date will be valid for four (4) months from the date of purchase, during the Park"s current opening season at the time of purchase. Season tickets, or any other products and/or services, bought via the website which are not entrance tickets, will also be sent to the user by email. The Special Contract Conditions for these products or services can also be viewed on the website, prior to purchase. The Website provides all the technical information necessary to identify and correct any possible errors at the point of entering details online at the point of purchase. The visitor must print out their tickets, using any ink, ink-jet or laser printer, in colour or black and white, in order to gain access to the Park. You should bring your printed ticket for direct access via the Park turnstiles. For Special Tariff tickets, such as numerous family, senior citizen or disabled (classified as equal to or greater than 33%), amongst others, please present your certificate or documentation of proof at the ticket office in order to access the Park. For SelwoPack tickets you must go at the Park's ticket office, where you will be given the tickets to the remaining two parks. This ticket is valid for any day until end of 2019 Season, ceasing to be valid after this date. Please check the opening times on the Park calendar at www.selwomarina.es or on telephone number: 951 560 324. The purchase and use of any item via our website implies compliance with the on-line purchase conditions and the acceptance of the Park´s regulations. This offer cannot be used in conjunction with any other promotion or discount. Exchanges and refunds will not be permitted. It is forbidden to cut, damage, change or photo-copy the ticket. Any of these circumstances will give rise to access to the Park being denied. Each entrance ticket has a unique bar-code which allows ONE ENTRANCE ONLY to the Park. Once validated the ticket may not be re-used. The visitor must retain the entrance ticket throughout their visit and be prepared to show their ticket, on request, to any member of the Park's staff. The sale of tickets to third parties is prohibited. We reserve the right to close the Park, with no prior warning, in the case of adverse weather conditions, lack of capacity, security issues, and for veterinary and/or public health reasons. This ticket is valid EXCLUSIVELY for the day indicated in the “Valid Date” box above, APART FROM when purchased the Flexi-ticket, in which case it can be used on any chosen date (always providing that date is not marked in orange on the calendar at which times the Flexi-Ticket is not applicable) or on one of the seven days following the chosen date, but always within the current season (Flexi-Ticket). It is not cumulative with other promotions or discounts (nor for the Flexi-Tickets). Neither refunds nor changes are admissible (nor for Flexi-Tickets). Each ticket has a unique barcode, which allows ONE SOLE ENTRANCE to the Park (including Flexi-Tickets). Once it has been validated it cannot be subsequently used. The purchase and use of any item via our website implies compliance with the on-line purchase conditions and the acceptance of the Park"s regulations. Prior reservation must be made, with at least 24 hours prior notice. The entry ticket for “Meeting with Dolphins” can be validated at the Park´s ticket offices and will give the bearer the right to carry out their visit during the time previously reserved by them. The visitor must print out their tickets, using any ink, ink-jet or laser printer, in colour or black and white, in order to gain access to the Park. Please check opening times on the Park calendar at www.selwomarina.es or telephone: 951 560 324. Each entrance ticket has a unique bar-code which allows one entrance to “Meeting with Dolphins”. Once validated the ticket may not be re-used. This activity is suitable for adults and children from 2 years. Children between the ages of 2 and 7 must wear lifejackets. Children whose measure is less than 1'25cm or who are between 2 and 7 years old, must be accompanied by an adult, who has bought a separate ticket for "Meeting with Dolphins" together with the child. You do not need a swim suit to take part in this activity. The trainers"/monitors" instructions must be obeyed at all times. For health and safety reasons, pregnant women will not be allowed to take part in this activity. This activity is extra, and therefore does not include entrance to the Park. We reserve the right to cancel this activity, with no prior warning, for reasons of adverse weather conditions, Security, veterinary and public health issues. Prior reservation must be made, with at least 48 hours notice. Entrance ticket for the VIP visit can be validated at the ticket offices and will entitle the bearer to visit at the previously reserved time. The ticket must be printed out, using any ink, ink-jet or laser printer. Please check opening times on the Park calendar at www.selwomarina.es or by phoning 951 560 324. The purchase and use of any item sold on the Internet entails the acceptance of the on-line sales conditions and the Park regulations. This offer cannot be used in conjunction with any other promotions or discounts. Exchanges and refunds will not be accepted. The ticket must not be cut, altered, defaced or photo-copied. Should any of these circumstances occur you may not be admitted to the Park. Each entrance ticket has a unique barcode which allows one VIP visit to discover the stated animal species. Once validated the ticket cannot be used again. The activity is suitable for all ages. Minors must be accompanied by an adult. The accompanying adult must buy a separate entrance ticket to make the visit with the minor. The Park trainers and monitors must be obeyed at all times. Sale of tickets to third parties is prohibited. This activity is an extra and, therefore, does not include entry to the Park. We reserve the right to cancel the activity, with no prior warning, in the event of adverse weather conditions, capacity, security, veterinary or public health issues. You must make your reservation with at least 24 hours prior notice. The VIP entry ticket can be validated at the Park´s ticket offices and will give the bearer the right to carry out their visit during the time previously reserved by them. Please check opening times on the Park calendar at at www.selwomarina.es or by telephone on: 951 560 324. The purchase and use of any item via our website implies compliance with the on-line purchase conditions and the acceptance of the Park's regulations. Each entrance ticket has a unique bar-code which allows one entrance to “Penguin VIP Visit”. Once validated the ticket may not be re-used. This activity is suitable for all ages. The minimum age to do the activity is 3 years old and / or have a minimum height of 1'10m. Children must be accompanied by an adult, who has bought a separate ticket for "Penguin VIP Visit" together with the child. Children must be accompanied by an adult. The accompanying adult must buy a separate entrance ticket for the "Penguin VIP Visit". Instructions from the Park´s monitors must be obeyed at all times. The entry ticket for “Swim with Sea Lions” can be validated at the Park"s ticket offices and will give the bearer the right to carry out their visit during the time previously reserved by them. Each entrance ticket has a unique bar-code which allows one entrance to “Swim with Sea Lions” to find out about the animal species mentioned above. Once validated the ticket may not be re-used. This activity is suitable for adults and children from 4 years old aged. Any person who will perform the activity must know how to swim. Minors with ages between 4 and 6 years of age, must be accompanied by an adult to perform this activity. In this case, the adult must buy a ticket to interact with the Sea Lions along with the child. The Park monitors" instructions must be obeyed at all times. For reasons of health and safety, pregnant women will not be allowed to take part in this activity. This is an extra activity, and therefore does not include entrance to the Park. We reserve the right to cancel the activity, with no prior warning, in the case of adverse weather conditions, lack of capacity, security issues, and for veterinary and/or public health reasons. The ticket for the menu option chosen by the visitor can be exchanged for (i) "Fast Food" menu, consisting of hamburguer or snack, chips and soft drink, or pizza and soft drink, or (ii) “Hot dog” menu, consisting of "hot dog”, chips and soft drink, or (iii) “Self Service Adult” menu, consisting of starter (a choice of salad, pasta cream or gazpacho), roast chicken, drink, bread and dessert, or (iiii) "Auto Junior" menu consisting of starter pasta, a choice of fillet with chips or nuggets with chips, drink, bread and dessert, according to the online purchase made previously by the visitor. Exchangeable at "La Colonial" from 12:30 pm to 4:30 pm. The menu-ticket must be presented in exchange for your menu at the restaurant till. If, for reasons beyond the control of the restaurant, it is not possible to offer the advertised menu, it will be substituted for a similar menu to the one included in the offer. Tickets should be printed using any ink, inkjet or laser printer. It is forbidden to cut, damage, change or photo-copy your ticket. Any of these circumstances will mean that the ticket cannot be exchanged for a menu-ticket. On arrival at the Park please check the opening times and locations of the various restaurants, for the exchange of your on-line purchase of the menu-ticket. Each ticket has a unique bar-code which allows the exchange of the ticket for one menuticket at the Park. The menu ticket is an extra, and as such does not include entrance to the Park. The menu ticket can be used at the “La Colonial” restaurant between 12:30pm and 4:30pm, and at “Fast Food Las Delicias” between 12:30pm and one hour before the time the park closes. We reserve the right to close the restaurant facilities, with no prior warning, in the case of adverse weather conditions, lack of capacity, security issues, and for food hygiene and/or public health reasons. These General and Specific Contract Conditions are subject to Spanish law, which will apply to any circumstances not covered by the contract in regard to interpretation, validity and enforcement of the same.